If you choose to use CellAd Platform, you are required to adhere to the following policies, when applicable. If you fail to comply, we reserve the right not to display your ads or to disable your account as indicated in the Terms of Service. 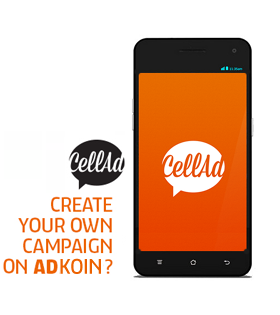 CellAd’s Advertising Board will review and enforce our ad restrictions and policy guidelines. Their decision in terms of ad approval or removal is final and shall be undisputed. Our Advertising Board reviews each ad submitted such that CellAd produces marketing communications that are welcomed and trusted and ensures integrity of its advertising. This Board operates Policy Guidelines, which it may choose to update and amend from time to time when making its ad approval decisions. Legal- Marketing communications should comply with the law and should not incite anyone to break it. Misleading- Marketing communications must not materially mislead or be likely to do so. Harm and Offence- Marketers should take account of the prevailing standards in society and the context in which a marketing communication is likely to appear to minimise the risk of causing harm or serious or widespread offence. Particular care must be taken to avoid causing offence on the grounds of race, religion, political sensitivities, gender, sexual orientation, disability or age. Marketers are urged to consider public sensitivities before using potentially offensive material. Marketing communications must not cause fear or distress without justifiable reason; if it can be justified, the fear or distress should not be excessive. Marketers must not use a shocking claim or image merely to attract attention. References to anyone who is dead must be handled with particular care to avoid causing offence or distress. Marketing communications, especially those addressed to or depicting a child, must not condone or encourage an unsafe practice. Marketing communications must not encourage consumers to drink and drive. Marketing communications must, where relevant, include a prominent warning on the dangers of drinking and driving and must not suggest that the effects of drinking alcohol can be masked. Marketers must take particular care not to include in their marketing communications visual effects or techniques that are likely to adversely affect members of the public with photosensitive epilepsy. Marketers must take care not to include content or message that will cause harm to another advertiser, their brand or offering thereby ensuring brand safety for all advertisers. Children- Care should be taken when featuring or addressing children (under 16 years) in marketing communications. Privacy- Marketers must not unfairly portray or refer to anyone in an adverse or offensive way unless that person has given the marketer written permission to allow it. Sales Promotions- Where a consumer is incentivised to buy by using a range of added direct or indirect benefits, usually on a temporary basis, to make the product more attractive then sales promoters must conduct their promotions equitably, promptly and efficiently and be seen to deal fairly and honourably with participants and potential participants. Promoters must avoid causing unnecessary disappointment. Distance Selling- Ads must comply with consumer protection legislation in each country where the consumer is legally located for the purpose of the sales contract and must also comply with the Direct Marketing Code of Practice in the seller or consumer legal location. Data Protection- Marketers must comply with all relevant data protection legislation. Environmental claims- The basis of environmental claims must be clear, include the full product life cycle data and total environmental impact. Medicines, medical devices, health and beauty products- Objective claims must be backed by evidence and marketers must not discourage essential treatment for conditions for which medical supervision should be sought and must not suggest that a medicinal product is either a food or a cosmetic. Weight control and slimming- Any claim made for the effectiveness or action of a weight-reduction method or product must be backed, if applicable, by rigorous trials on people; testimonials that are not supported by trials do not constitute substantiation. Financial products- Offers of financial products must be set out in a way that allows them to be understood easily by the audience being addressed. Marketers must ensure that they do not take advantage of consumers’ inexperience or credulity. Food, food supplements and associated health or nutritional claims- Ads should not by misleading or confusing consumers , undermine public health policy that increasingly emphasises good dietary behaviour and an active lifestyle as a means of promoting health. Gambling and Lotteries- ads for gambling products should be socially responsible, with particular regard to the need to protect children, young persons under 18 and other vulnerable persons from being harmed or exploited by advertising that features or promotes gambling. Alcohol- ads for alcoholic drinks should not be targeted at people under 18 and should not imply, condone or encourage immoderate, irresponsible or anti-social drinking. Motoring- Ads should not condone or encourage unsafe or inconsiderate driving practices. Employment, homework schemes and business opportunities- Marketing communications must neither contain unrepresentative or overstated earnings figures nor exaggerate the support available to investors.